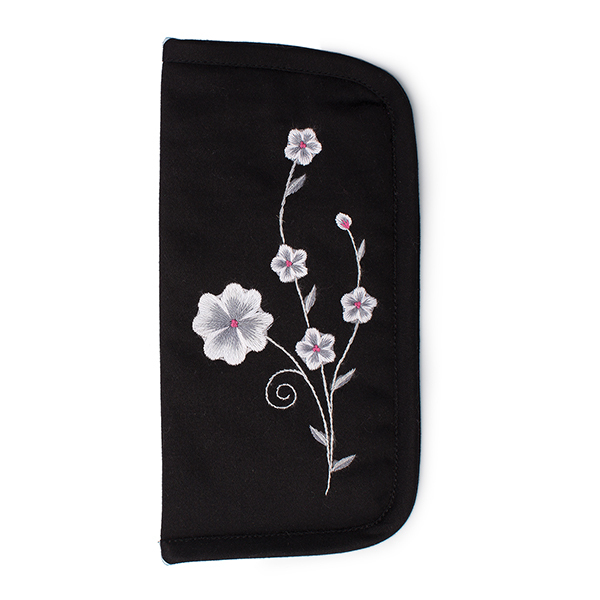 Each purchase helps women of China Ethnic Crafts break away from the cycle of poverty and domestic abuse. 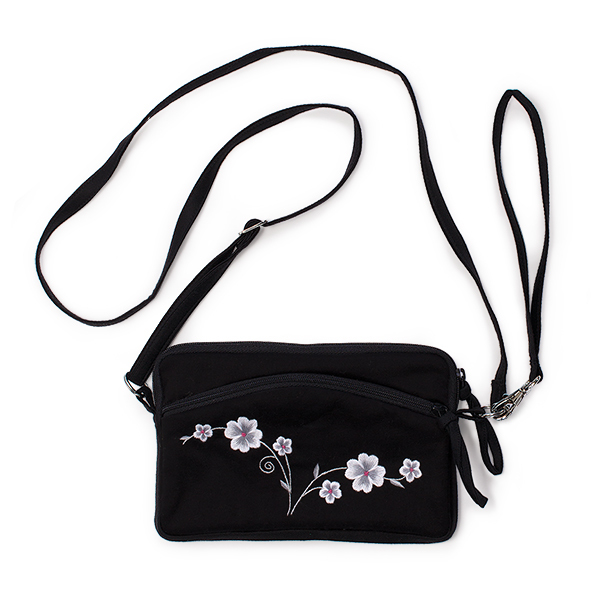 This functional and compact purse is perfect for anyone on the go! 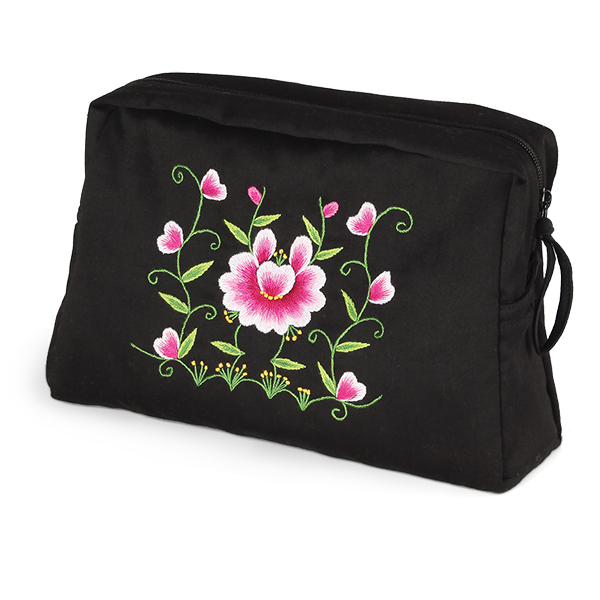 Durable, handmade bag features hand-embroidered, white, gray, and pink flowers. 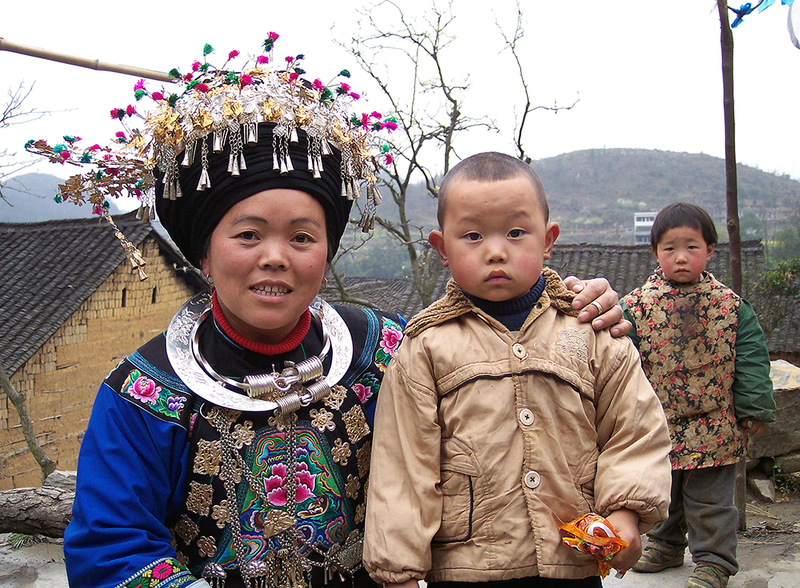 Each purchase helps women of China Ethnic Crafts break away from the cycle of poverty, domestic abuse, and the lack of education. 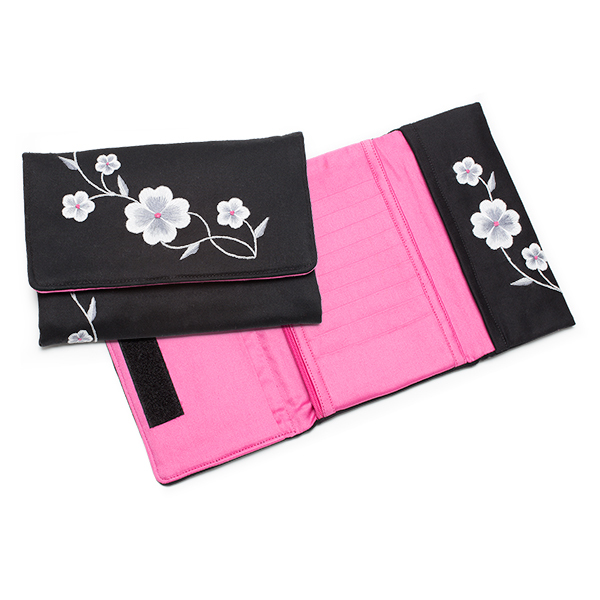 Includes pink interior fabric with three zippered pockets, 6 credit card slots, and an inner zippered pocket. 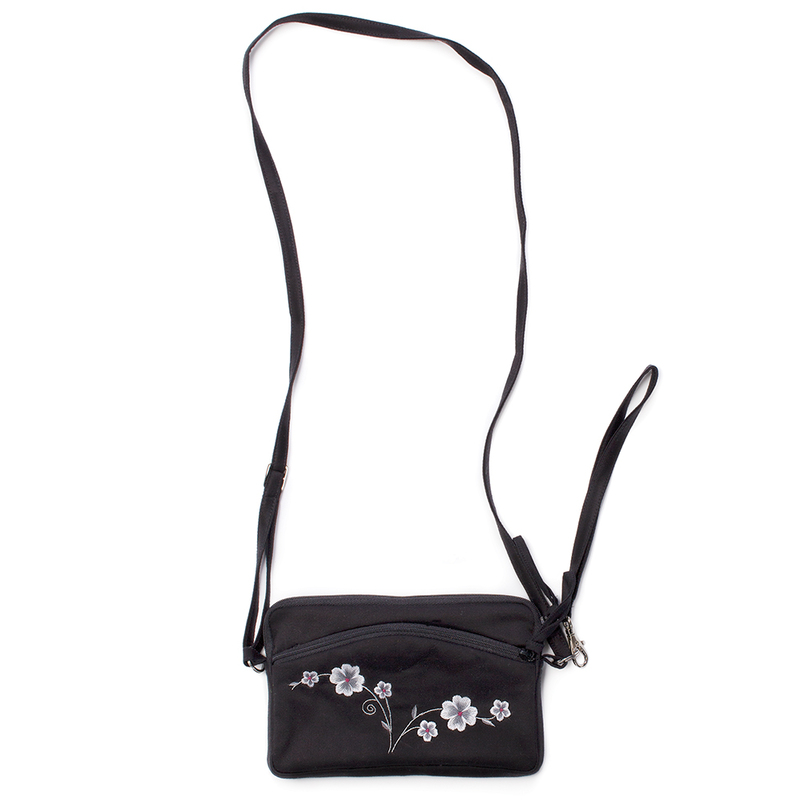 Includes a 7-inch wrist strap and removable, adjustable shoulder strap that extends 46 inches. 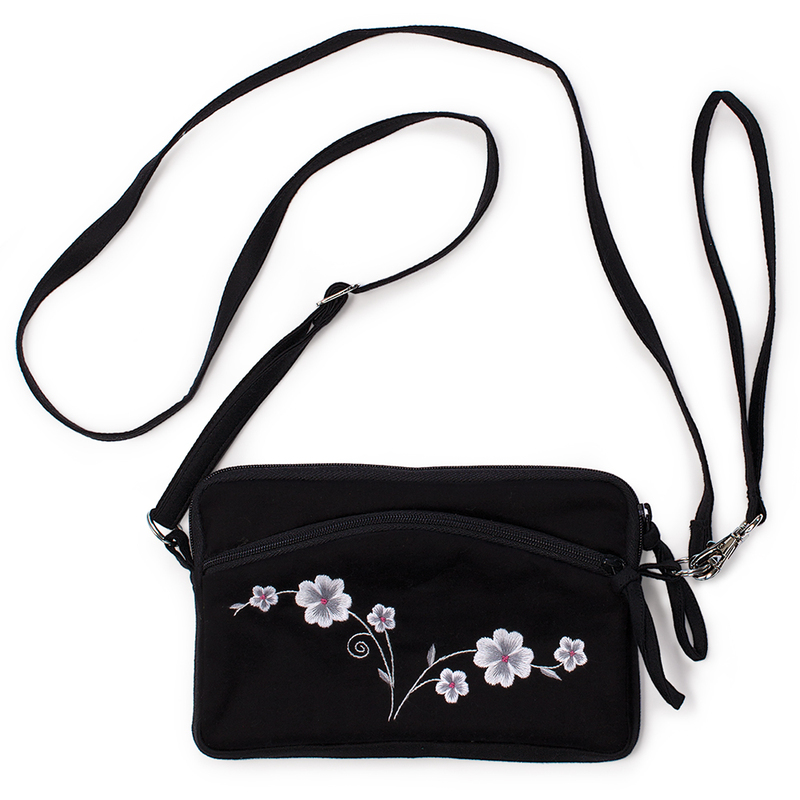 Bag measures 7.5-by-5-by-.75 inches.